At a moral level, he singled out the “flagrant self-contradiction of the Christianity-canting and civilization-mongering British Government”. He added that the British forced poppy cultivation on farmers in colonial regions, keeps the wholesale trade in the producing-nations as “a close monopoly”, packages the opiate in a manner that’s convenient to abet smuggling, and then auctions it to the “contrabandists”. What Marx talked about was the grand and audacious trade in Indian opium, which was exported to China, for 300 years (1600s to 1900s). What the ideologue didn’t talk about was that the illicit trade, which was true for 130 years (1729 to 1858), made the fortunes, not just of Britain (East India Company), but similar companies in Holland and Portugal. Private firms in Europe, especially Britain, amassed huge wealth. So did the Americans, like President Franklin Roosevelt, and Forbes family. Singapore and Hong Kong wouldn’t have existed without the opium trade. Indore (Malwa opium) and Patna (Bengal opium) were major markets from where opium was sourced. Through overland and river routes, the opium made its way to the ports of Bombay and Calcutta. Marx didn’t know, or didn’t realise that opium was also responsible for the initial profits of most of the Indian business families across the various communities in northern, western, eastern and central India. 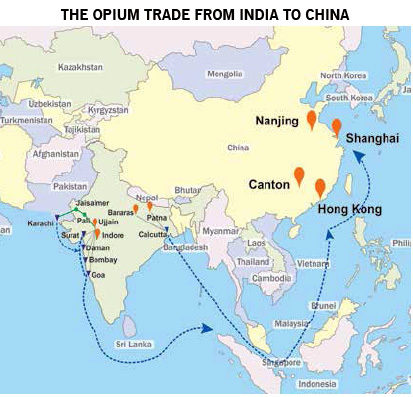 Renowned names today trace their business roots to the India-China opium trade. Some of them were traders in opium, many financiers, and some ship-owners, who exported the contraband. For almost two hundred years, starting from the 1750s, the British rulers and firms, Indian business families, and princely states colluded and competed with each other to build their opium fortunes. The British fought two opium wars against China to retain the dominance on the international trade. Indian businesses helped the British in various ways, even as they battled to gobble up slices of the large and profitable pie. The foundations of Bombay, the financial and business capital of the country, lie in opium, As Historian Claude Markovits said, “Before becoming the Manchester (Britain’s textile centre) of India, Bombay thus became its Medellin.” Medellin was the headquarters of Pablo Escobar, a Colombian who was the largest global opium smuggler in the 20th century. For three hundred years, hundreds of Indian trading, financial, and business families earned huge sums from the opium trade. Although individual family earnings aren’t available for obvious reasons, estimates can be made from the revenues earned by the East India Company and British colonial rulers. According to Claude Markovits, the annual opium business of the British was worth Rs. 5 crore in the 1850s. D.K. Taknet wrote that a merchant, Swaroopchand Hukumchand “earned two crore rupees from speculation in opium after 1909”. ALMOST every trading and business community in the northern, western, central and eastern parts of India was involved. These included the Parsi, most of who migrated from Gujarat to Bombay, Marwari (based in Bombay, Calcutta, and Rajasthan), Bengali, Gujarati Bania, Konkani Muslim, Shikharpuri, and Goan (Indo-Portugese). Apart from the British private companies, East India Company, and British government, other foreigners, who benefitted, were Portugese, Dutch, Armenian, Baghdadi Jew, and Muslim and Multani from, what is now, Pakistan. It may be apt to mention a few prominent Indians, who made killings, to give an idea of the expansive nature of opium entrepreneurship. 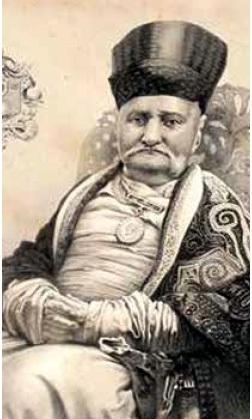 Among the Parsis, the most prominent name was Sir Jamsetji Jeejeebhoy, who was the King of Opium in Bombay between 1820 and 1840, and the first Indian to be knighted. An orphan at an early age, a son of a weaver, he came to Bombay at the turn of the 19th century. Within a decade, he was worth Rs. 2 crore, which he earned mainly from cotton exports to England. Asiya Siddiqi wrote that Jeejeebhoy’s opium journey began after a ship, Brunswick, on which he was a passenger, was captured by a French warship. During his arrest, he met William Jardine, who later joined hands with James Matheson to set up the largest opium empire in China. By the 1820s, Jeejeebhoy forged strong links with Jardine-Matheson, and local Marwaris, Gujarati Banis, Konkani Muslims, and Goans. 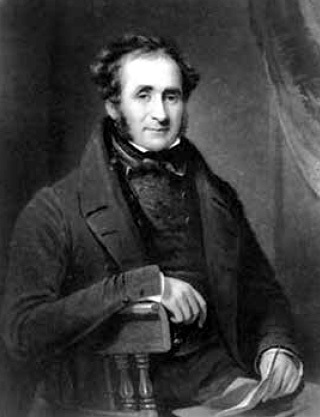 In 1838-39, Bombay exported 22,000 chests (140 pounds each), a third of which was procured by Jardine-Matheson, mostly from Jeejeebhoy and his loyalists. 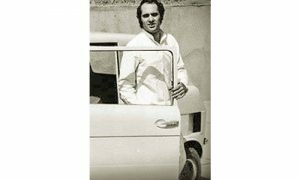 One of Jeejeebhoy’s associates was a Goan, Rogerio de Faria; Jeejeebhoy worked as a clerk for the latter. Rogerio’s father was into China trade, and owned three ships. The son, according to Teotonio R de Souza, who found personal papers and letters of da Faria family, went on several business trips to Canton and Macao, both in China. Rogerio shifted from Calcutta to Bombay in 1803, and dominated opium exports from the west coast (Bombay, Goa and Daman) from the 1790s to the 1820s. On the east coast, Bengalis, Marwaris, and Parsis, along with the East India Company and British rulers, were engaged in opium. One of the renowned Bengali entrepreneurs in the 19th century was Dwarkanath Tagore, the great grandfather of Rabindranath Tagore, Nobel Prize winner in literature. According to a few books, Dwarkanath unsuccessfully “invested in two opium clippers (swift ships)”. One of them, Ariel, was “seized” by Chinese authorities in 1839. The other, Mavis, “was stuck by lightning in 1842”. He had “shares in other ships engaged in Indo-British (opium) trade”. In a 2014 interview, Thomas A Timberg, a scholar on Marwaris, said that “during the British times, some of today’s successful families took advantage of the speculative market, as in opium and also jute. In the early 20th century, when the British were easing off on opium, some Marwari families made a killing.” He concluded that the Marwaris “had the ability to take risks and also that they acted on market information”. Just another name needs to be mentioned here. 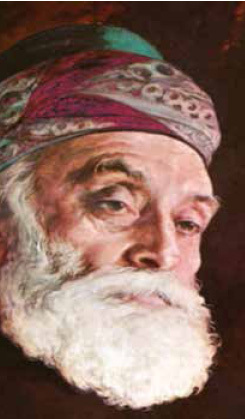 Dwinjendra Tripathi and Makrand Mehta traced the roots of the Tata Group to Jamsetji Nusserwanji Tata. They said that Tata “was a shipper, Chinese trader, exporter of cotton and opium, and importer of camphor, cinnamon, copper, brass, and gold”. They added, “In 1859, he was dispatched to China where he stayed for four years, acquiring an intimate knowledge of eastern markets.” Tata had links with Roychand Premchand, the villainous hero of the second part of this series who was a partner in a Tata-owned trading firm. On the eastern front, before the British East India Company, the Dutch’s United East India Company exported Indian opium from the 1650s. The Dutch procured the opiate from Bihar and Bengal, and shipped it to the Indonesian archipelago (Java, Sumatra and Borneo). After the British annexed Bengal in 1757 – Robert Clive, the villain of the first part of this series was a major figure in that year’s Battle of Plassey – it monopolised the business in East India. By 1800, the British licensed poppy production, processed and packed opium at its factories, and auctioned it in Calcutta. Bengal opium, as it was called, comprised two varieties – the produce from Bihar poppy (Patna opium) and that from Benares-Ghazipur region in the Indo-Gangetic plains (Benares opium). However, after the auction, the British rulers didn’t participate in the exports, and left it to a string of British, foreign, and Indian entrepreneurs to ship the opium to Macao and Lintin islands in China. 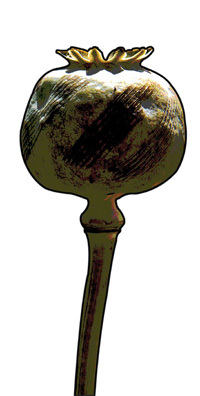 Until the 1840s, Bengal opium constituted the majority of the exports. Earlier, huge ships, called Indiamen, were used, but were replaced by the faster clippers due to technological changes. THE situation was more exciting and mystifying on the western front. For several decades, until the early 1800s, the British had no idea that there was a third source of Indian opium (Malwa opium) that went to China. It came from the Malwa areas of Ujjain and Indore areas in central India; most of the poppy areas were in the princely state ruled by the Scindias. It was sent through an inland route, via the princely states in Gujarat, to the Bombay port, which was ironically under the British rule. Most Bombay-based businessmen took part in the export of opium from West India. Historians such as Amar Farooqui, Siddiqi, Markovits, and others have done extensive work on the changing routes in the western region. When the British discovered that about 1,000 chests were exported from Bombay between 1800 and 1803, it banned the trade in 1805. However, the traders and exporters continued to use Gujarat ports (Surat) and Portugese ones (Goa and Daman). According to Farooqui, Daman was the main opium outlet between 1805 and 1821, although the trade continued to be managed and conducted from Bombay. 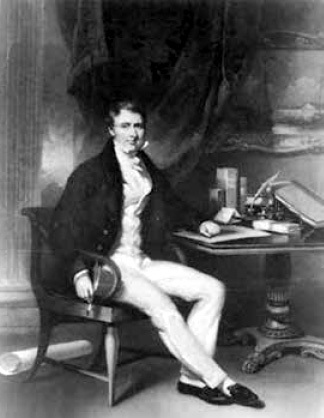 In 1818, DE Owen said that the competition between Bengal and Malwa opium “had become critical in China”. This angered the British because of the loss of revenues and profits as the trade in Malwa variety was entirely handled by private – Indian, British, and other foreign – businessmen and regional rulers. In the third Anglo-Maratha war (1817-18), the British defeated the combined forces of the Maratha Peshwas, Indore’s Holkars, and Nagpur’s Bhonsoles. The victory enabled the British to enforce strictures on the transit route through the Maratha region. But the traders and exporters found an ingenious way out. They changed the transit route from Malwa to Daman. Now, instead of moving westwards, the opiate moved northwards to Pali and thence to Jaisalmer, both in Rajasthan. Then, large camel caravans transported the product through the Thar Desert to Hyderabad (Sind side, now in Pakistan), and then to the Karachi port through the Indus Valley. From Karachi, it was shipped to Daman. Each journey took two months. Camel caravans were handled by the Multanis and Shikharpuris, who had hundreds of years of experience in caravan trading from India to Central Asia. The circuitous route increased the transportation costs for Malwa opium, but the profits were still sizeable. According to Scott Levi, the two communities knew “five distinct routes from India to Kabul and caravan traders who wished to make their way from Kabul onwards to Central Asia had no more than seven routes to choose from”. One of the renowned Bengali entrepreneurs in the 19th century was Dwarkanath Tagore, the great grandfather of Rabindranath Tagore, Nobel Prize winner in literature. According to a few books, Dwarkanath unsuccessfully “invested in two opium clippers (swift ships)”. So, the British put pressure on the Scindia State, the largest producer, to curb production, and simultaneously to impose a similar trading monopoly as it had done in East India. Hence, the British procured Malwa opium, and auctioned it in Bombay, as also in Calcutta. Sadly, the first measure failed because the Scindias didn’t accept the production restrictions on poppy cultivation. But since they were under indirect British protection, they dragged on the negotiations for years. Various factors pushed the Scindia State towards poppy. The first, according to Markovits, was that it was a lucrative source of revenue, and helped it, as well as the other princely states on the transit routes, to avoid financial collapse. The second was that the officials in the princely states were involved in the trade. 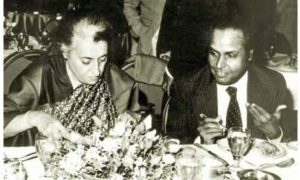 British sources said that Appa Gangadhar, manager of the Scindia territories, was a partner with a local businessman, and Tantiah Joog, a minister in Holkar, sent 2,000 chests of opium to the port of Daman. The third was that the poppy farmers in Malwa earned thrice the amount compared to their counterparts in the eastern region. COLLUSION between the business community and rulers was common. 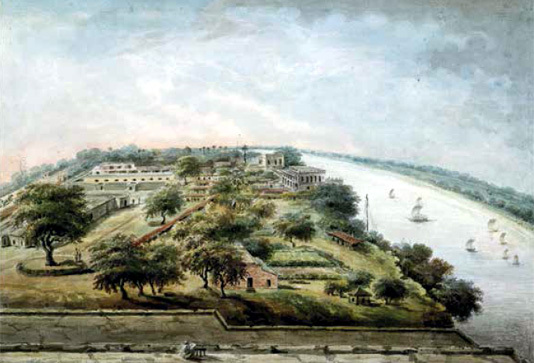 In July 1822, James Taylor, the British opium agent in Indore, wrote that there was a “combined, active and persevering competition on part of Malwa, Kota, and Mewar in conjunction with chief native merchants of Bombay and Damao (Daman)”. Markovits felt that the “different kinds of participants were interlinked in many ways forming a whole supply chain”. 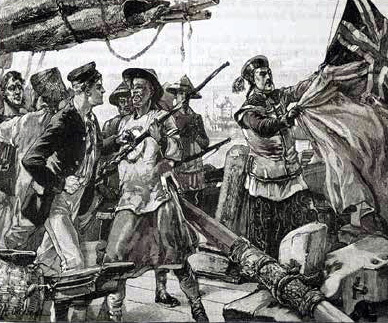 The Portugese, who controlled Daman, had their reasons to continue the trade – to undermine the British and earn profits. The British attempts to monopolise the opium procurement, as it had done in Bengal, flopped because it didn’t have a complete control over the poppy cultivation and, hence, private traders had access to the opium derived from the poppy. 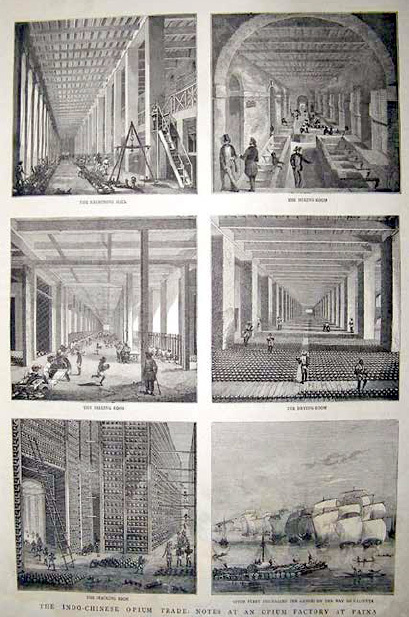 In 1830, the British had a stock of 3,600 chests for auction in Bombay. In the same year, almost 10,000 chests reached Daman. Finally, in 1830, the British gave up. It discontinued the opium procurement and auctions in Bombay, removed the restrictions on the princely states, and allowed free trade through Bombay, after a payment of an export duty, which was initially fixed at Rs. 175 per chest, and then reduced to Rs. 125. Over the next few years, Bombay gained ascendancy over Daman – in 1834, 7,000 chests left from the former port, and 5,600 from the latter. By the 1840s, after the First Opium War (1839-1842) in which the British defeated China, Daman was “abandoned”. May be, the decline of Daman was linked to other issues. In 1839, the British had troops in Karachi to prepare for the ambitious, and what later proved to be disastrous, misadventure in Afghanistan to fight Russia in the ‘Great Game’, which played out in Central Asia. In 1843, the British annexed Sind. Some contend that it was an indirect consequence of the alternative opium route – through Jaisalmer, Sind and Karachi. Hence, by the 1830s, the British controlled the internal opium trade from Calcutta, but allowed free reign to private businesses in Bombay. As far as the shipments to China were concerned, they were entirely handled by Indian and foreign private businesses. Two issues are paramount in the context of the opium trade. The first is a distinction made between smuggling, as defined by Farooqui, and official trade. The first pertains to the internal trade and exports from the western region until 1830, when the British allowed free trade from Bombay. The second relates to the internal and external trade in the eastern region, as also the post-1830 business in the western region. Hence, the British-controlled part is considered as legal by the researchers. NOTHING can be further from the truth. Until the 1850s, when the British defeated China again in the Second Opium War, the trade was illegal. The reason: China had banned opium imports from 1729. It was legalised only under the 1858 Treaty of Tianjin (Tientsin), which is a collective name for documents that China was forced to sign with Britain, the US, Russia, and France. The 1842 Treaty of Nanking, signed after the first Britain-China Opium War, kept the status of the opium trade quite ambiguous. Clearly, the trade was illegal for 130 years. This is why the British allowed private traders to ship the opium from Calcutta despite the monopoly over the internal trade in the eastern region. The same was true in the case of Bombay, after the imposition of the export duty. To qualify the British-controlled trade as legitimate is akin to saying that there is nothing wrong in the supply of goods to smugglers, despite the knowledge that they will be exported illegally. In such cases, the entire supply chain is illegal. For the researchers, a distinction between smuggling and official trade has enabled them to reach startling conclusions. For example, Farooqui concluded that smuggling, especially in West India, transformed into subversion, as a set of businessmen and princely states acted deliberately to politically defy the East India Company. Thus, before 1857, the opium trade constituted the first war of independence, albeit an economic one that was laced with political objectives. Making the same distinction between smuggling and legal trade, Markovits maintained that the trade in the western region, at least till 1830, was merely “a circumstantial alliance of wily speculators and corrupt state officials”. 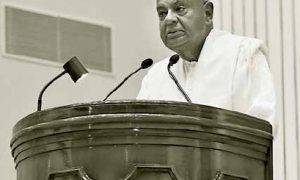 According to him, the “business interests coincided with (those of) the rulers of central India”. Hence, the profit motive was crucial – everyone who participated in the business interacted with each other, helped each other, only in a bid to earn attractive profits. What is crucial here is that opium was an economic instrument to serve the political interests of the various rulers. For the princely states, as discussed earlier, it gave certain political freedom and manoeuvre despite being under the British protection. For the British, and earlier East India Company, opium provided the solid and stable financial foundations. Without opium, Robert Clive’s Bengal dominance, and the beginning of British rule in India, would have come to nought. Everyone knows that Bombay was a part of the huge dowry paid by Portugal’s House of Braganza for the marriage of Catherine to the British Tudor monarch, Charles II. Contained among the dowry’s gifts was, what writer Amitava Ghosh, called the Pandora’s Box, a box of tea. This started Britain’s opium-like addiction to tea, which was imported from China. It was felt that the export of Indian goods to China could possibly finance the tea imports. But this didn’t happen. BRITAIN had to pay for tea in silver because China, which thought of itself as a self-contained empire, didn’t need anything from the external world, neither British textiles nor most of Indian products. Opium helped to set up a three-way trade that enabled the silver to flow from China to Britain, and not the other ways around. Britain exported textiles to India, India exported opium to China, and China exported tea to Britain. Opium helped to change the balance of the trade in Britain’s favour, as opium exports far exceeded tea imports in the 19th century.